A mains grid power failure in a hospital can cause critical situations. 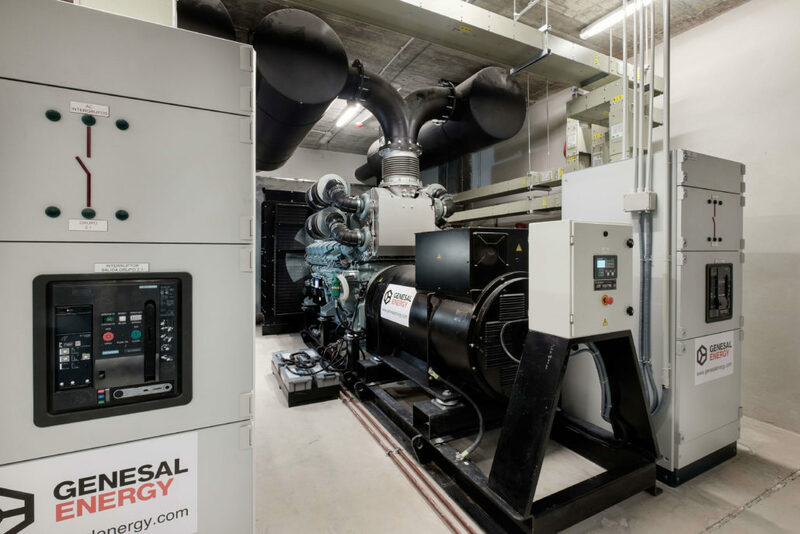 With this in mind, GENESAL ENERGY designs highly reliable generator sets allowing for the hospital in question to continue attending their patients with absolute normality. With a surface area of 280,000 SqM and able to attend 1465 patients, the new Alvaro Cunqueiro Hospital in Vigo delivers healthcare to a surrounding population of 600,000 people. Genesal Energy has supplied this complex, one of the most ambitious ever undertaken by the Health Ministry of Galicia, with a total of eight gensets to supply the entire complex with up to 11.2 MW of power. The solution designed by GENESAL ENERGY was personally adapted to the client’s characteristics, in this case Sergas (the Galician Health Service), a solution which was focused on supplying emergency power in case of a mains failure. The requirements met included up to 14,000 kVA of energy, automatic start-up, and connected to the hospitals main control room. Additionally, rigorous noise reduction standards had to be met, to maintain normal working conditions in a building of this type.